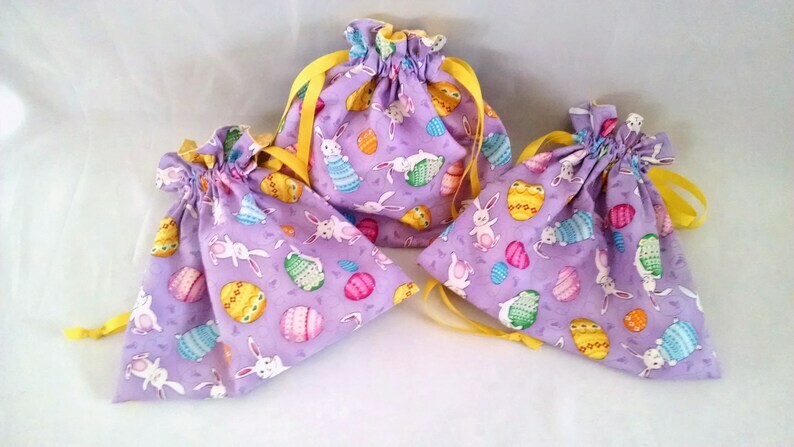 These little Easter bags are a nice way to distribute holiday treats to the little ones. 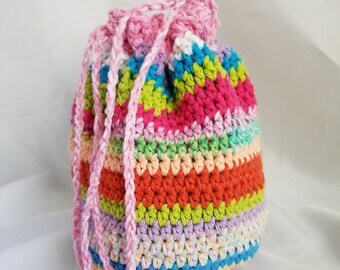 Each bag measures 10" wide and 9" tall, 7" under the drawstring, plenty of room for small toys and sweets. 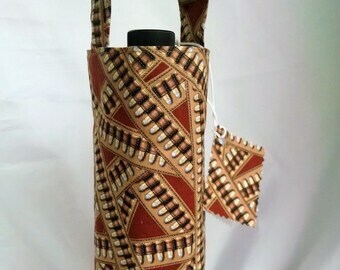 The bag is fully lined with a yellow polka-dot cotton material giving it durability. Drawstring bags are easy for kids to open and pull closed. 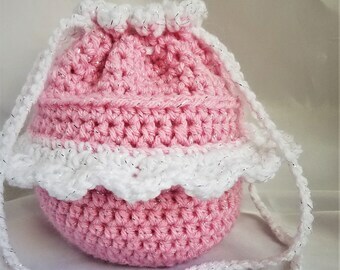 This bag will also be a great little purse for any little girl to carry her treasures. Bags are made of soft 100% cotton fabric with a lavender background and colorful pastels of yellow, green, blue, orange, and pink bunnies and eggs. There are 5 bags available but they are going fast!